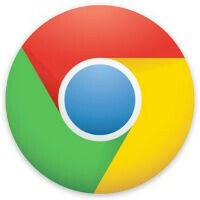 Scrolling is going to be smoother on the Chrome browser on your phone and tablet. That is because Google plans on using Microsoft's Pointer Events API and integrating it into the browser. The Pointer Events API allows interactions with the touch and mouse to be seen as a single event (in Chrome they are seen as two separate events) which provides benefits to users and developers. One major benefit to both is smoother scrolling. Some of the other browsers like Firefox and IE, run smoother than Chrome. The Chromium team listened to feedback from web developers, framework authors, and other browser vendors who said that Pointer Events would be a great addition to the platform. As the Chromium team wrote, "Since we’re committed to a web platform which evolves collaboratively through open discussion and data from real-world development, we need to take this feedback very seriously." The currently used Touch Events API is not going to disappear, and with IE supporting both, it is possible that Chrome also will continue using Touch Events while starting to implement the Pointer Events API. The bottom line is that Chrome users will soon have a better scrolling experience. This is not going to happen overnight, however. Still, it is something that Chrome users can look forward to. Add the freaking reading mode, Google! Add the freaking tap to top mode, Google! I think the biggest reason that isn't going to change, is because of the fact that Google is an advertising company. Enabling reading mode and hiding ads on Chrome is most likely something they feel would hurt their revenue. I can't think of on any other reason that they've been hesitant to do so, so far. I'm aware of that, just saying I couldn't think of another reason as to why they hadn't implemented it up to this point. Even with that being there, it doesn't necessarily guarantee Google will go live with it. There was a seperate article in PA for enabling this reading mode in chrome for Android. Also add the refresh button in address bar, Google! You see, if Microsoft and Google put their hands together, we would have amazing user experience, come on Google,make your services available for WP, and Microsoft shall allow Google to use their patents. Or just keep more and more horsepower under the hood. It's quite funny how WP and IOS, even blackberry's UI is truly more fluid with half the "horsepower". Don't get mad everyone, I'm currently on a Note 4. Have the choices made for you and have a smooth unified experience or have all choice in the world but run into a few hiccups here and there. I honestly think that's as simple as it gets. Pick which path suits each individual. I only have one concern. See on the Galaxy S5 when you hover over a drop down menu with your finger on a website it chrome it acts as though your hovering your mouse on it. I hope this isn't lost! Uh, ff and opera do not use pointer events, seeing how opera is based on blink and ff never finished it. I think the biggest problem is all the ads loading,and the other garbage going on in the background,like trackers jockeying for position. Some sites have so much stuff it ain't funny. And now Google has,or is buying Inmobi,who has all that great contextual advertising. You know,those double underlined words (hyperlinks) that pop-up ads. I did enable reader mode in flags,but it is of limited use. Not like Firefox,which is a far superior browser for Android,reader mode works on every site.